One of the best things in life (in my eyes) is getting surprised! 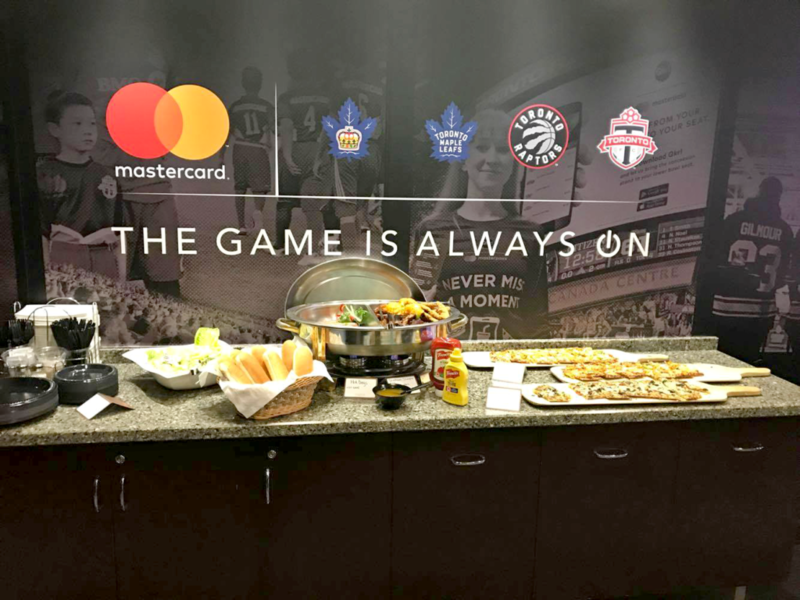 I was completely blown away last week when Mastercard reached out to me and offered me 2 tickets to the Toronto Raptors playoff game. This was part of their #PricelessSurprises program where they surprise cardholders as a way to say thank you. A little about Mastercard: they are a technology company in the global payments industry. They operate the world’s fastest payments processing network, connecting consumers, financial institutions, merchants, governments and businesses in more than 210 countries and territories. Mastercard products and solutions make everyday commerce activities – such as shopping, traveling, running a business and managing finances – easier, more secure and more efficient for everyone. My tickets from Mastercard weren’t just tickets – they were tickets for their suite! 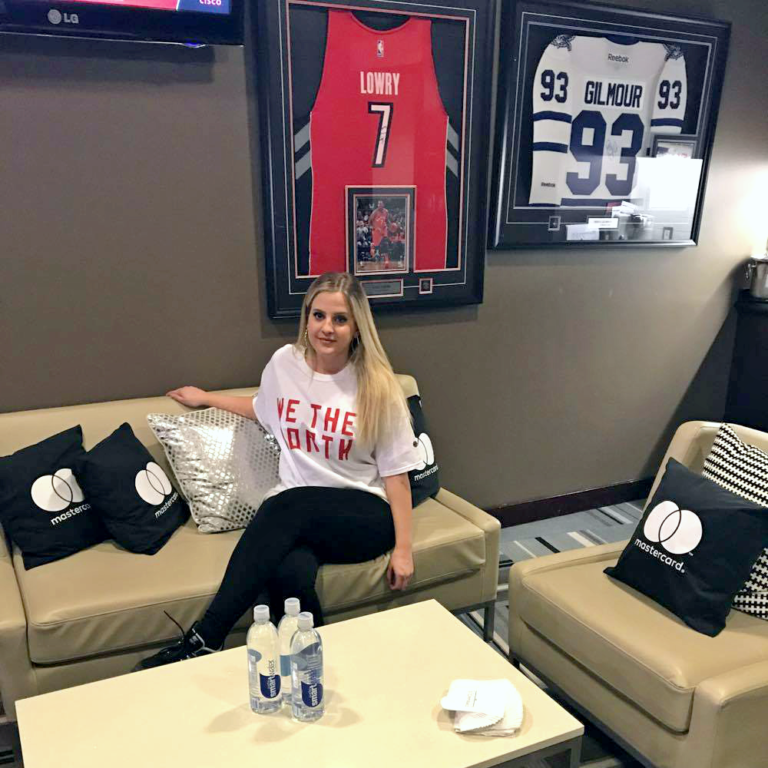 Their suite is for hosting cardholder’s at various events with the Toronto Maple Leafs, Toronto Raptors, Toronto Marlies, Toronto FC, and concerts that are held throughout the year. 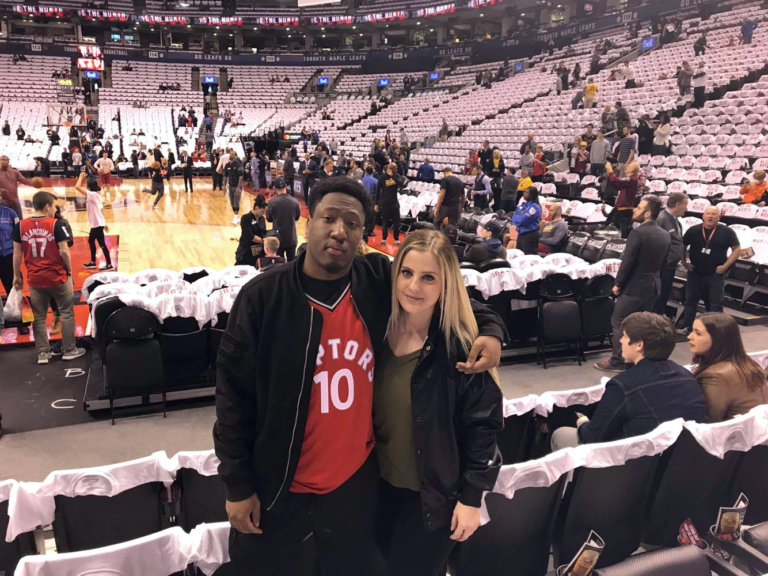 I brought my boyfriend with me and we got to enter the Air Canada Centre early, check out the suite, and go down closer to the court to check out the Raptors and Cavaliers warm up before the game started. After checking out the players, we went back up to the Mastercard Suite and got some food and drinks that were provided in the suite. They had hot dogs, chicken wings, chicken fingers, flat breads, salad, and a selection of drinks to choose from. There was also alcohol available if you wanted to pay for it. The suite is on an angle towards the court, but it didn’t bother me at all. We were close enough to see everything that was going on. I would definitely come back (if given the chance) to watch another game! The actual game ended in a loss for the Toronto Raptors, ending the season and playoffs for us. It’s a bit disappointing, but there is really no chance against Lebron James! I’m still grateful to have had this opportunity to watch the game – especially it being the last one of the season! Thanks again to Mastercard and their #PricelessSurprises program for giving me this opportunity!